On the 28. February 2017, Absalon, the relatively new public house in Copenhagen, where the district’s Versterbro locals and the rest of citizens can meet up and mingle in new ways, will host an event of Danish record label No3 and it’s artists, who will be performing live. No3 is a relatively new, alternative record lable with an international perspective. 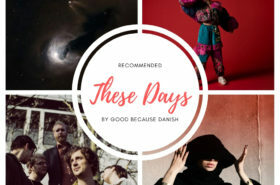 Since 2014 the label has dared to sign various new Danish acts, which has given them a big and professional team to back them up. No3 is a home to CHINAH, Kill J and The Minds of 99 (to mention just a few), whom we at Good because Danish are very fond of! Those of you who will show up at Absalon on the 28. 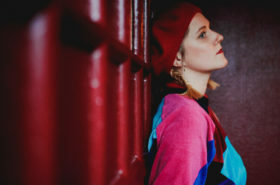 February for the No3 Label Night will be able to check out: Molina, Noréll (both bands are on Soundvenue’s Breakin’ Sound list 2017), Ea Kaya and Mads Langelund. Good because Danish wants to help you get in to the show and that’s why we are having a little give-away competition on our Facebook and Instagram, where you can win 2×2 tickets to the event! All you need to do is: to like the event post on either of the social media channels and tag in the comment the person whom you’d like to bring along with you to No3 Label Night at Absalon. 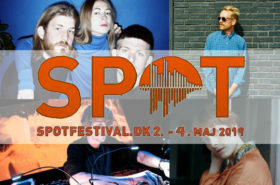 Don’t miss out a chance to see great Danish music newcomers! 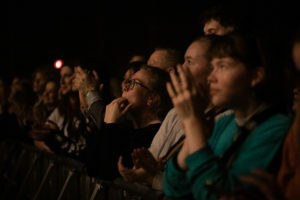 Listen to our little playlist, to get yourself into the “No3 Label Night mood” with the artists from the label, those who will perform at Absalon on 28. February included!